I recently acquired huge haul of Doctor Who action figures. This means building new sets for them! Of course all these sets are available from Phil at AFTDownloads. In the hall, D84 hears Leela but the Doctor does not seem to. D84 accidentally scares the Doctor by sneaking up behind him. 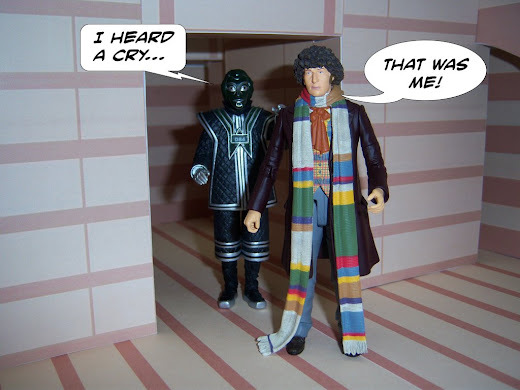 D84 tries to tell the Doctor that he heard a cry. The Doctor keeps telling him that it was his startled yelp, not realizing it was Leela. D84 keeps repeating that he heard a cry over and over as he follows the Doctor through the halls. 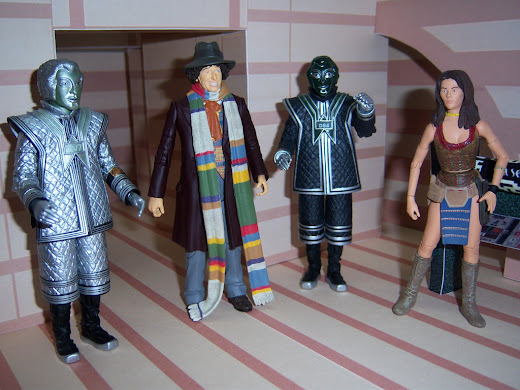 I recently was able to get hold of a Character Options/Underground Toys Fourth Doctor’s TARDIS. 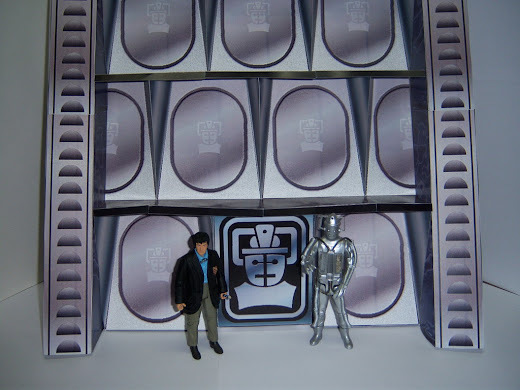 To display this I thought of the Priory Storage room from Pyramids of Mars. I had already constructed the set a while back, so all I had to do was dig it back out of storage. Here is the Fourth Doctor’s TARDIS in the spot it landed in the Pyramids of Mars.